Feliks Falk’s Joanna: A Man-Made Women’s Weepy? The Polish Film Festival Los Angeles, now in its twelfth year and a new time slot on the calendar, October 11-20, 2011, presents twenty-one feature films along with numerous documentary, animation, and short works either made in Poland or taking up Polish subject matter (schedule at www.polishfilmLA.org). Opening the festival at the Egyptian Theater in Hollywood with a gala reception is Antoni Krauze’s Black Thursday, a piercing docudrama of the events of December 17, 1970 in Gdynia where eighteen people were killed and hundreds injured when the army and the militia opened fire on workers protesting food price increases. Krauze combines shocking newsreel footage with the personal drama of one shipyard worker and his family. The festival also announces its awards on the opening night, and this year the Feature Film Jury is honoring Rafael Lewandowski’s debut, The Mole, screened on Saturday as the fest takes up its principal venue at Laemmle's Sunset 5 in West Hollywood. The Mole concerns a controversial subject matter: every public official in Poland today is required to sign a declaration of non-collaboration with the former secret police. This process of “lustration” — of “bringing the truth to light” — is one Lewandowski probes not only in the public sphere as a political thriller but also on private turf in the unraveling of a father-son relationship. Polish cinema has long been celebrated for its socio-political dissections of the culture; audiences familiar with the widely reputed Polish School of filmmaking easily expect to see works that keenly draw out the psychological connections and tensions between individuals and regimes. Beginning in the 1970s, while Andrzej Wajda turned to literature and the past for paradigms addressing contemporary quandaries and became increasingly more direct and up-to-date with roles he created for Krystyna Janda promoting Solidarity, the two Krzysztofs — Zanussi and Kieślowski — proffered a rather more philosophical approach to the screen, writing and directing enigmatic “parables for the people,” in a sense — Family Life, A Woman’s Decision, Camouflage; Camera Buff, Blind Chance, and later, Dekalog. The actress Maja Komorowska was a major presence in such films (and in the theatre of the decade as well), a sort of “conscience” of the nation. The output of this era of Polish filmmaking, which came to be known as the “Cinema of Moral Anxiety,” included one other rising auteur, Feliks Falk, who created emblems of the culture in the eponymous characters of his films, Top Dog and Hero of the Year, and whose Chance was a morality tale for the times in its depiction of the lust for success, fame, and power in the face of cultural sensitivity and values. It would be easy to read Feliks Falk’s recent film, Joanna (to be shown on Tuesday, October 18 in the Polish Film Festival Los Angeles) within this national cinema’s code of ethics referenced above, as a throwback to the 70s works presenting careerists and social climbers and the 80s works questioning the costs of collaboration. But with actress Urszula Grabowska (scheduled to attend the festival screening) playing the title role, Falk presents something both within and beyond the tradition. 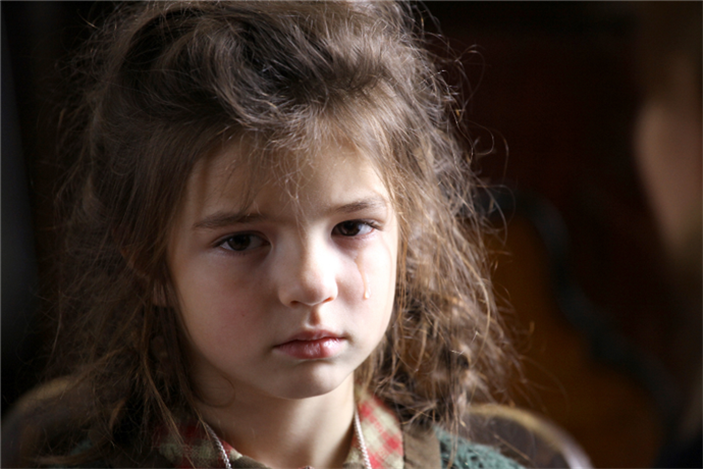 Deservedly picking up the Best Actress award at the 2011 Moscow Film Festival and several top Polish film awards, Grabowska, who after the film’s first five minutes appears in nearly every frame of Joanna, is an unforgettable presence. The camera feasts on her face as she quietly, often wordlessly, brings to life a well of emotions that lend her iconic stature. Her expressions and demeanor, not to mention her facial features themselves, evoke those of Ingrid Bergman, and Grabowska’s opaque behavior that issues from Joanna’s personal code of ethics — one stronger and more honorable than the fickle and slippery social mores that surround her — brings the wartime and postwar roles of Bergman to the fore. The high moral ground in Ingrid Bergman’s complex film roles, in the context of the media's accusations of transgression in her life, looms large in viewing Joanna. Grabowska’s costumes, hair and make-up only enhance the association in this period piece set in the occupied Poland of World War II. We meet our protagonist in an elegant café in Kraków. Although she used to work in a museum, she’s been driven to wait on tables while living on her own since her husband left to fight in the war. She greets a child and her mother who are there, however fearfully, to celebrate the girl’s seventh birthday, but a sinister man at the next table intrudes upon them and the mother sends the girl to the church across the way to wait for her. A round-up ensues and the mother disappears. Joanna enters the church to pray for the well being of her husband, from whom she has heard nothing, and stumbles upon the girl asleep under the pews — or is she hiding? The pretty child (Sara Knothe, in a priceless performance), mature beyond her years, has been trained to be silent, discreet, and if necessary, invisible. But to Joanna the situation is clear, and she takes the stranded girl home with her, promising to look for her mother. From then on Joanna carries her own special cross, a secret she tries to hide from everyone except her chosen ward, little Rose, who must depend entirely upon her for sustenance and protection. While Rose is adept, staying away from the windows and keeping lights out at night, Joanna is already under surveillance; her handsome apartment is too spacious for one, and it could easily be appropriated. Joanna’s cautious mother tells her this, and so does the nosy landlady who lives below (“It makes people jealous”), and in fact Joanna is terrorized in the night when a German officer invades with plainclothesmen who search the premises, Rose stowed away in a utility room, ready to say she’s Catholic and show her holy medal. “I want you to know that I know,” Joanna tells Rose in a serious talk. It’s a line with particular resonance, a question asked at every turn in the film: Who else knows what Joanna knows but isn’t saying what Rose won’t say? There is a long chain of women connected to Joanna. She goes to each of them, surreptitiously asking for clothes, toys, banki jars, jobs, shelters, resources for survival. In a soft touch, she reads Rose a storybook about Goat, the Half-wit: “All the wise Polish she-goats — to count them, an impossible task — called a goatee conference, at which they decided thus…” and the film cuts to a scene where Joanna’s newly appointed co-worker (they both clean the offices of the Postmaster) explains why she takes lovers until her husband will return. She has children to feed, and besides, she’s “not doing it with a Kraut, but a Pole.” In the opening scene the sinister man in the café proposed to Rose’s mother, “…a woman like you might have something to offer.” There will be yet a third instance of such “alternatives” for women in occupied Kraków. If the code for proper female behavior is black and white, the distinction for men seems to be equally binary: they are absent or they are menacing. Joanna’s husband is missing, her father is largely off-screen with a bad heart, her brother-in-law falls into a drunken stupor each night behind the scenes. They have no capacity to support the women; what’s worse is the threat of those who do, such as the young Polish Resistance member, a friend of the family, looking for room and board. How can Joanna explain to her mother that it would be particularly dangerous for her to house him? And how could Joanna explain to him the real reason he saw an SS officer leaving her home in the wee hours of the morning? Too many people peep around the corners of the dark stairway to Joanna’s apartment, hear the heavy footsteps thumping on the hardwood stairs, the banging and buzzing at the door, a regular rhythm of terrifying percussion that compliments the extreme high and low angles of the camera, the tilted frames, the chiaroscuro lighting that hardly ever gives full daylight, the grays and blacks of the street where Joanna is always running until, after curfew, she finds the warmth of Rose coddled in the safe cocoon of her home. Even there, this mother and daughter of sorts are often looking for each other, the child having hidden suddenly behind a cupboard door in the parlor, or the adult having run off suddenly to face another emergency. But amidst all the fear of the unknown, and living with her own private paradox, Joanna bears a sincere, eager, intensely optimistic face. “Nobody knows everything. Matters sometimes take an unexpected turn,” Joanna reassures Rose after several raids of unexpected visitors. It’s an utterance of faith with a deeply sardonic echo as an attentive SS officer (Joachim Paul Assböck) offers Joanna an important bit of information and bids her farewell upon his transfer: “…It’s a war. Things change overnight.” Indeed they do, and the onslaught of wartime events and their weight upon Joanna could set anyone to tears. The “women's weepy” was a popular film genre that sprang up in Hollywood when World War II displaced men from the home, the work force, and the theaters. Women not only made up the audience, but they filled the screen. What they saw came to be known clinically as the maternal melodrama: in the end it spelled trouble for mothers and daughters alike, condemning female youths who lost their virginity before marriage and indicting mature women who stepped outside their madonna radiance. The cut-and-dried gender roles were complemented by stark emotions elicited by the characters and a bold relief of good and evil in the plot and mise-en-scène, in which the household became the edifice of family morality. Because of its domestic setting, the genre gave generous space to females, placing them at the center of the story and even granting them the film's visual point of view or narrative voice. Yet more often than not, the agency they achieved through any transgressive behavior on their part was swallowed up or defeated by an illness that arrived by deus ex machina — blindness, amnesia, a split-personality, or a brain tumor. Once the women were deprived of their faculties of perception by the illnesses that struck them, their perspectives on life were stripped of authority and their resistance to the restrictions of arbitrary gender roles was never allowed to become a ritual of everyday practice. Generating an escalation of high-pitched emotions, even if gradually so, and granting an incredible amount of screen time and space to its numerous female characters, Joanna presents the dichotomy of honorable and dishonorable roles for women within the Polish society. It takes up their daily routines, mainly within the domestic space, as if they are the center of life itself. There are no less than five mother-daughter couples profiled in Joanna (unless we count Rose and her doll, a pair that figures as prominently as the rest). Not to diminish all their lovely faces and striking roles, what would attract male viewers to the film — and, for that matter, any audience today, when we would seem to have “outgrown” the wartime melodrama genre? In the case of our heroine Joanna, her everyday life is mainly, and curiously, unseen. While everyone in the film is always seeing something, what they see is never really quite what’s happening. (This paradoxical relation between illusion and reality is at the very core of cinema.) So what we see them see is a melodrama — characters acting on illusions. But what we see behind the closed doors of Joanna’s home is a grateful, obedient Jewish girl and a Nazi, a man looking eerily like Joanna’s missing husband and speaking French, the “language of love.” How do we reconcile these two vantage points — the brittle character point of view of the Polish “chorus” and our covert spectator point of precarious tenderness — with the film’s narrative point of view? On the one hand, the narrative appears to punish Joanna for her private “sin” once it is publicly disclosed. Yet it may be a different crime she blames on herself, a betrayal of a higher order she did not expect would come to pass. The narrative shell of Joanna presents another dimension to the film, one that packs a wallop for contemporary viewers. In the Nazi-occupied Kraków of this story, while plenty of men are clearly displaced by the enemy from their normal lives, all the positions in the General Government are filled by men, and they are all Poles. They themselves contribute to Joanna’s fate. Ironically, the one German character is also the only man who tries to help Joanna, albeit, in his own perverse way — in fact, in line with Stendhal’s characters in The Red and the Black, a book he deliberately “borrows” from her when she would more happily give it to him. He knows about the repercussions of jealousy and betrayal, of which Joanna is admittedly inexperienced. What he doesn’t know is how they can direct her fate in the hands of her own people. We spectators are privy to the intimate world of Joanna and Rose in their seclusion, the emotions on the other side of the peephole; the others, all the voyeurs of Polish society, from Joanna’s ultimately judgmental mother to the family friend, the covetous young Jerzy Krasucki, are not. We are also privileged to see the opening credit sequence, the misty white “sky” where names evaporate as soon as they are written, from which the camera swoops down to life below on the gray stone street; its refrain is the final scene of the film, the snowy peaks of the High Tatra where Joanna spent her honeymoon, and where now a lone, dark figure treks into the mist and disappears in the white distance. We can see that Joanna’s fate is sealed — by the Germans, by the Poles, and by a higher power that tests her. We can see that outside the melodrama lies a human tragedy. Turning the pages of history to illuminate the past, with Joanna, Feliks Falk also re-inscribes the present — for Poland or any culture in the hands of betrayal. Director: Feliks Falk; Producer: Michael Kwiecinski; Screenplay: Feliks Falk; Cinematographer: Piotr Śliskowski; Editor: Krzysztof Szpetmański; Sound: Maria Chilarecka; Production Designer: Anna Wunderlich; Costume Designer: Magdalena Biedrzycka; Music: Bartek Głiniak. Cast: Urszula Grabowska, Sara Knothe, Joachim Paul Assböck, Stanisława Celińska, Monika Kwiatkowska, Halina Łabonarska, Iza Kuna, Kinga Preis. Color, 35mm, 105 min. In Polish, French, and German with English subtitles.